It is common knowledge that the real estate market starts getting busy in the spring and summer time as nice weather starts to take over. This is when open houses start to be more common and houses fill up real estate listing websites and directories. Purchasing a home is a big moment in one’s life and should be prepared for properly if buyers want to have success on the market. Below are four ways you can properly prepare yourself for buying a home in and around Waltham, MA. Money is the only way you will be able to purchase anything in life including a home. Making sure you have enough money is one of the most important steps to the home buying process. One of the first steps to making sure you have the money needed for a home is to get close to being completely debt free as possible. Debt will take your focus away from saving for your dream home so make sure you have as little debt as possible, so you can start saving your money. Once debt has been taken care of, compile as much money as you can for the following expenses you could be subject to during the buying process. Emergency fund with three to six months of expenses. 5-20 percent down payment on your new home. Closing costs, which can take up to 3 percent of your home’s value. In addition to these costs, you should keep in mind how much it will cost to move into your new home as well as accessories you will need once you move in. Checking Credit Reports – Review your credit report before a lender does, so you can fix any minor issues that might be pointed out. That way the report checking process can move quickly. Gather Documents – Getting a mortgage requires certain documents such as recent bank statements, proof, and balance of retirement accounts, most recent W-2 form, recent paystubs, and driver’s license. Having these documents at the ready will help you close on your dream home. Get Preapproved – To further show how serious you are to buy a home to sellers, getting preapproved for a loan is a great way to do so. It shows you are ready to take out a loan as soon as possible to finance the house and show you want to be the next owner of the home. Set Your Budget – Narrow down your budget to what is reasonable for you as well as keeping in mind it the mortgage payments. The mortgage payments should be about 25 percent of your monthly take-home pay. You will also want to keep in mind maintenance costs into your budget. List of Features – You always want to keep the end in mind when purchasing home. 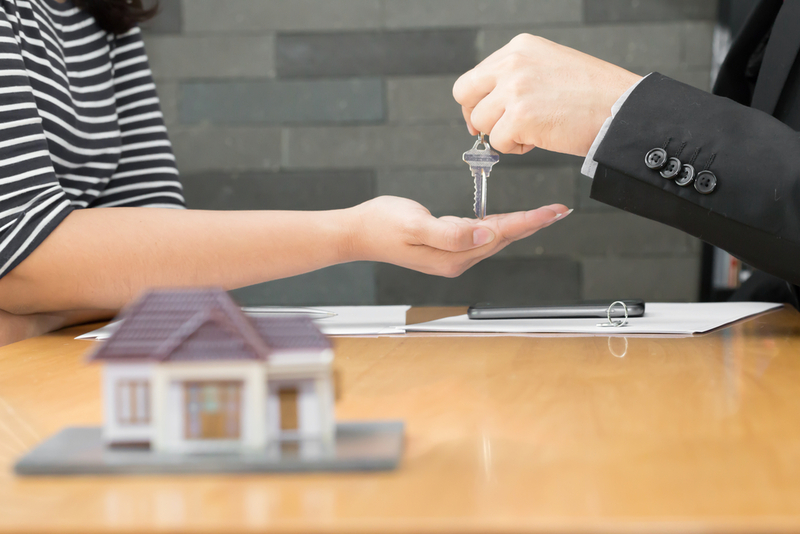 Work with your Waltham real estate agent on features that you like, and your agent can inform you which features help or hurt your chances of reselling your home if you need to do so in a couple of years. Choose a Location – Once you are set on a location and or school district, pass the information to your Realtor and they will set up a portal into the MLS. That way you can get notices when homes in your area are up for sale. Open Houses – A walkthrough of homes not only helps you envision your family in the home but also helps with finances. You can see if your budget can get you the home you are looking for or not as well as determining if you need to save more. One of the most important aspects to entering the real estate market is finding yourself the right Realtor for you. Finding a good Waltham Realtor is important as they can tell you all the ins and outs of the market’s current situation. They also have ample amounts of community knowledge to help with your search. Find an agent that makes you feel comfortable and one that you can work with so finding your dream home happens as soon as possible. When it comes to selling a home in Waltham, having a home that offers an experience for the potential buyer to envision themselves in with their families is usually a good way to beat out the market. With the real estate market fluctuating so much with different homes on the market every week, you will need to stand out from the crowd if you want your home to get noticed. This is where curb appeal comes in to play and acts as a vital factor in the real estate industry. 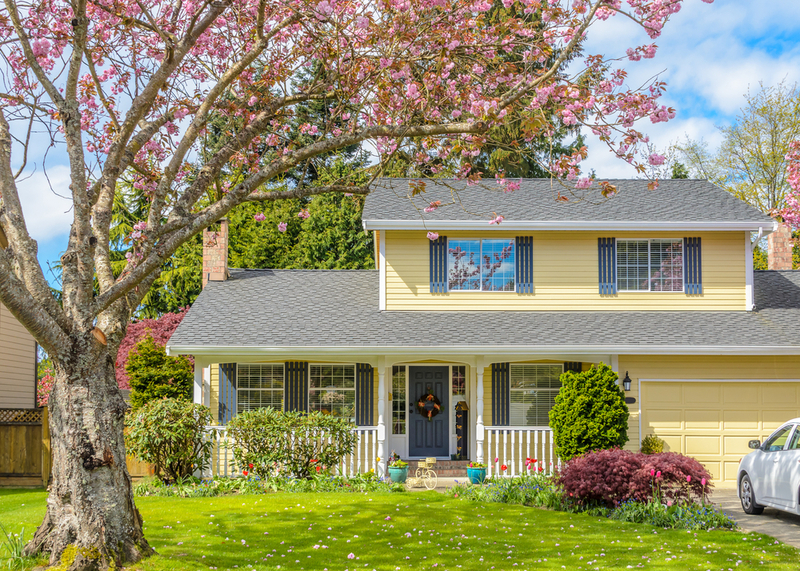 With spring finally here, it is especially important to make sure the exterior of your home is in tip top shape, so buyers can picture themselves living in your home during the warmer months. Below are five ways to increase your home’s spring curbside appeal. Having an overgrown lawn or lawn with a lot of belongings and junk on them will turn away potential buyers as no one will want to go through an open house if the outside does not look up kept. First impressions are everything in life and this includes real estate. Before you have an open house, be sure to mow your lawn, take out any weeds, trim down trees so they do not look overgrown. It is also a good idea to clean your windows and any areas of your home that may show dirt. Using a power washer is a quick fix to cleaning dirty areas of your home but be sure to not stand to close as the pressurized water could chip away at your home's exterior. One of the most frustrating things is when you are looking for a house and you cannot find the house number then end up missing the house you were looking for. For an open house, if potential buyers cannot find your home then you could be missing potential sales. This runs the risk of your home being on the market longer than you wanted, which counts against your chances of selling your home. There are different designed, patterned, and colored house numbers you can put on your home or signpost. When picking them out, just make sure that they are not too distracting and blend well with your home. To help with the siding of your home, try adding some color to make your home pop and stand out from the other houses in your neighborhood. If the siding of your home is a simple gray color, try painting the trim or shutters a brighter color. By accenting the trim and shutters, the house will look more colorful and appealing which will increase a buyer’s first impression of your home. When it comes to fencing there is a difference between the front and back yard fences. Backyard fences serve a purpose of keeping things in and being defensive while front yard fences serve more of a decorative purpose. As front yard fences are typically shorter to show the area beyond the fence while adding to the character and flow of your home. Examples of these fences include white picket fences, short brick fences with gates, and a short latticework fence. To increase your home’s spring curb appeal even more, try adding some décor to your front porch. This décor will make your home look comfortable and open to visitors which will attract buyers to want to see the rest of the home. Welcome matts, potted plants, and having the porch area swept clean is a good starting point. 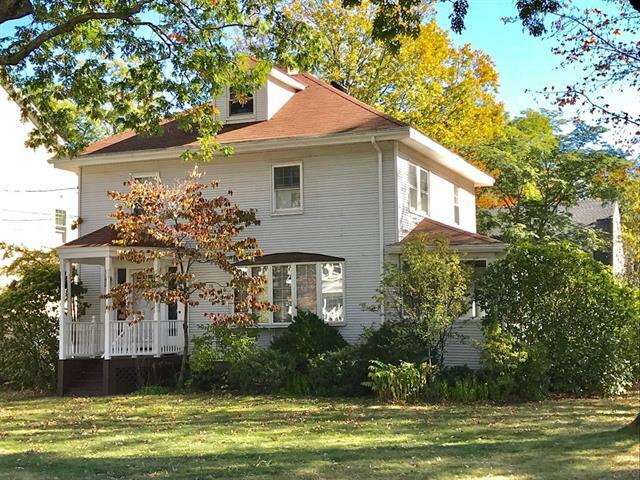 Are you considering selling your home in Waltham, MA in the next six months? If so, the time is now to get it ready for the spring market. Spring market is a term used by real estate professionals for that time of the year that is especially busy when it comes to buying and selling houses. The spring markets for the last few years have been especially robust, so it is more important than ever to make sure your home stands out among all the others. Here are a few tips to help separate your home from the rest. • Spring Cleaning – This is the perfect time to get rid of clutter and really do a deep dive on getting your home sparkling. It is so vital to show potential buyers a home that is well taken care of and getting rid of extra junk will also accentuate the potential of space. • Minor Repairs – Take a walk around your home with a clipboard and make sure everything works. From changing burnt out bulbs to tightening up leaky faucets to everything in between. There is nothing worse than a potential buyer not seeing a room because the lights won't go on. • Get Out The Paint – How do your walls look? Do they need a little touch up? What is your existing color scheme? If it's somewhat bold or a little out of the norm, you may want to consider a different color. Neutral tones are best as they do not distract from the rest of the home. • Organize Your Paperwork – Make sure you have all your manufacturer's warranties and operating manuals in one place. This includes anything from your furnace to your dishwasher. Basically, anything that is going to stay with the house. • Less Is More – In your kitchen, make sure to have a minimum number of appliances on your counters. Get rid of all and any of your tchotchkes and other knickknacks. You really want to emphasize the counter space. Make sure your ovens and ranges shine! Do the same in your bathrooms; curling irons, shavers, and blow dryers should be stowed away. As with the kitchen, your bathrooms should be immaculately clean. • Bedrooms and living spaces need to look livable, not lived in – In the living room and other common spaces, get rid of clutter and make sure there's good flow and that the furniture is arranged to emphasize maximum space. Remove family pictures and knickknacks. It is so vital that the buyers don't feel like they are invading someone else's home. In the bedrooms, make sure beds are made and closets are spacious and organized. • Make a grand entrance! - First impressions do count. Make sure your yard is sharp and tidy. If there is still snow on the ground, ensure driveways and walking paths are cleared. If the climate has improved, ensure lawns are trimmed and think about planting a few flowers for color. Porches should be cleared of debris and swept. Make sure entry way is warm and inviting and welcoming! Finally, and most importantly, find an established Waltham area Realtor. A Realtor is held to higher standards than real estate agent. You want a Realtor who is intimately familiar with Waltham and has a record of success.